TLC Carpet Care In Parker Co, bringing our award-winning professional cleaning services to our local communities. We help you make your home or commercial establishment more inviting by using our years of industry expertise to maintain the fresh, clean environment you love. We offer a full lineup of cleaning services, letting you focus on some or all of the services you need, mixing and matching as desired, secure in the knowledge that whether you order few or many services on a given day, TLC Carpet Care is always there to handle all your cleaning needs both now and in the future. Our carpet cleaning specialists bring you state-of-the art equipment and up-to-the-minute cleaning processes to make your home or business sparkle! We just know you'll love the results and will find the entire preparation, cleaning, and finishing process painless, efficient, and rewarding. Our friendly, professional carpet cleaning technicians will work with you to bring the beauty of clean, shiny carpets to your home or commercial premises. 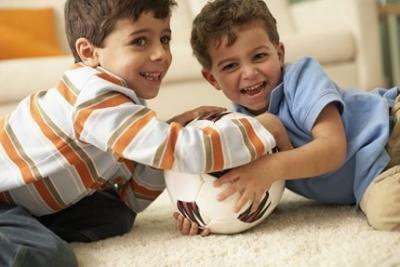 At TlC Carpet Care , we treat your area rugs just as professionally as we do your carpets. Our state-of-the-art rug-cleaning facility is fully equipped to handle your room-size and smaller rugs. We also offer specialty cleaning and repair services for your precious Oriental and heirloom rugs, giving them the extra-special care they deserve and the thorough but gentle cleaning they need. Pickup and delivery are always included in our area rug cleaning and Oriental rug cleaning services. Our expert cleaning technicians provide leather and fabric upholstery cleaning services that give your dull, dingy furnishings a new lease on life. Your fabric or leather sofas, chairs, and ottomans will look brand new, helping to bring out the beauty of your freshly cleaned carpets. You'll be amazed at how much brighter your furniture will look once the dirt, dust, and grime have been whisked away by our thorough cleaning process. We also offer deep vacuuming services to help tide you over between upholstery cleanings and feature optional Scotchgard treatment to help your upholstery repel dirt and resist staining. For those who prefer chemical-free cleaning, we offer our organic cleaning option, which uses 100% non-toxic, organic cleaners that are completely biodegradable. Organic cleaning helps remove dust, dirt, and other allergens from your home or business environment, while also protecting the outdoor environment from the onslaught of chemical toxins that compromise our ecosystems and threaten the health of our communities. Additional cleaning services we offer include curtain and drape cleaning, pet stain removal, mattress cleaning, and tile and grout cleaning. Other specialty service options that can enhance the beauty of your living room, family room, or den include marble cleaning and restoration services. Whatever part of your home or commercial space needs cleaning and beautifying, TLC Carpet Care has the expertise to do the job. These added specialty services can help increase the attractiveness of your home or business space. No matter which room of your home needs service — kitchen, living room, family room, or bath — or which part of your commercial space needs a professional image boost, Pacific Carpet offers a service that will meet your need. Call the company whose specialists have the skills and experience to do an outstanding job. We believe in doing every job right. As our customer, you have the right to expect top-notch service and an exceptional finished job, and that's just what you'll get from Pacific Carpet Cleaning. Whether your job is big or small, you can count on us to give it the attention it deserves. After all, our business is built on developing long-term relationships with our customers.